Builders Cleans Birmingham West Midlands. For all the excitement of a fresh building project, it is simple to overlook the mess that builders may leave behind. They might claim to cleanup after themselves, but more often than not it's you that's left with the bulk of the work. Even if builders try to tidy up, it can be cursory at the best they are often keener to proceed to the next job than to leave your home spotless. 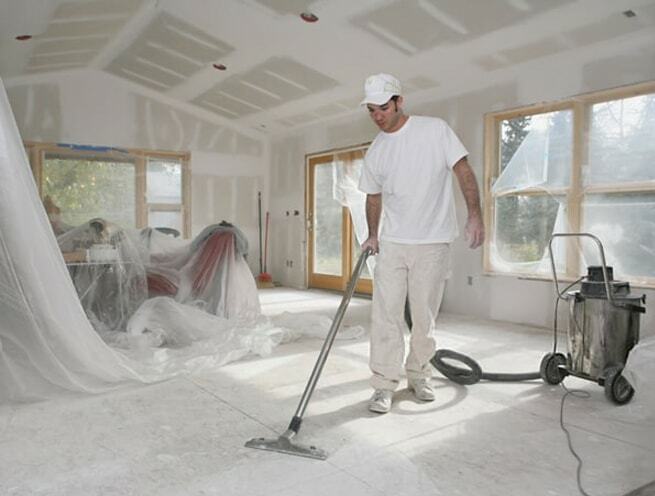 From dirt in every crevice to cement or plaster on the floor, or splashes of paint on the skirting boards to debris and dust on every surface, building really can be a very messy business without a doubt. It is easy to understand that you may not feel like dealing with it yourself, or you simply may not have the time. By using us for after builders cleaning, we clean wherever the building work has taken place in your house. If that is in the kitchen, we will thoroughly clean inside and outside cupboards, and all of the surfaces including the floors. We will make sure your oven, refrigerator and microwave, and kitchen sink and taps shine, and clean inside windows. We'll make sure your skirting boards, sockets and switches and door spotless.